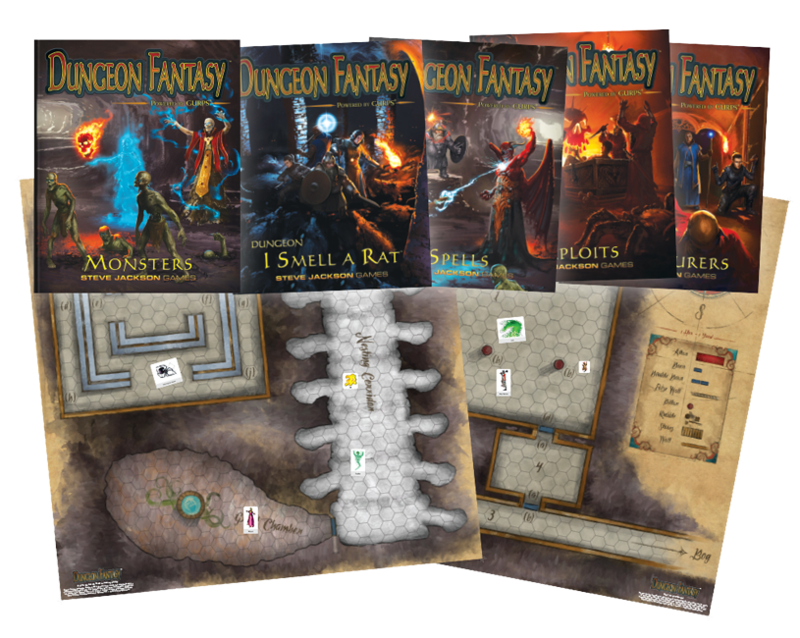 5 books, 2 large double-sided maps, cardboard figures, and 6-sided dice. Dungeon Fantasy Tips: A whole series of pieces offering detailed thoughts on actually playing the game. Some are aimed at players and some at GMs – but much of this is general advice for everyone! Opening The Chest (October 26, 2017). General advice on how to get started. Creating Your Own Character (November 6, 2017). Advice to players on creating fun-to-play heroes. Creating Your Own Dungeon (November 15, 2017). Advice to GMs on writing entertaining adventures. Superior Spellcasters (November 29, 2017). General advice on building and playing magic-users effectively. My Little Monster (December 20, 2017). Advice to GMs on designing cool new monsters. The Art Of War (December 29, 2017). General advice on combat, especially making it run smoothly. Town? (January 2, 2018). Advice to GMs on cooking up interesting towns to visit between adventures. 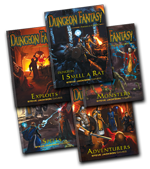 Dungeon Fantasy Roleplaying Game Designer's Notes (December 7, 2017). 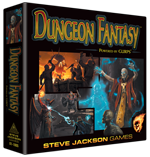 Pointers to all the articles out there on the process of putting together the Dungeon Fantasy Roleplaying Game. Caravan To GURPS (December 31, 2017). 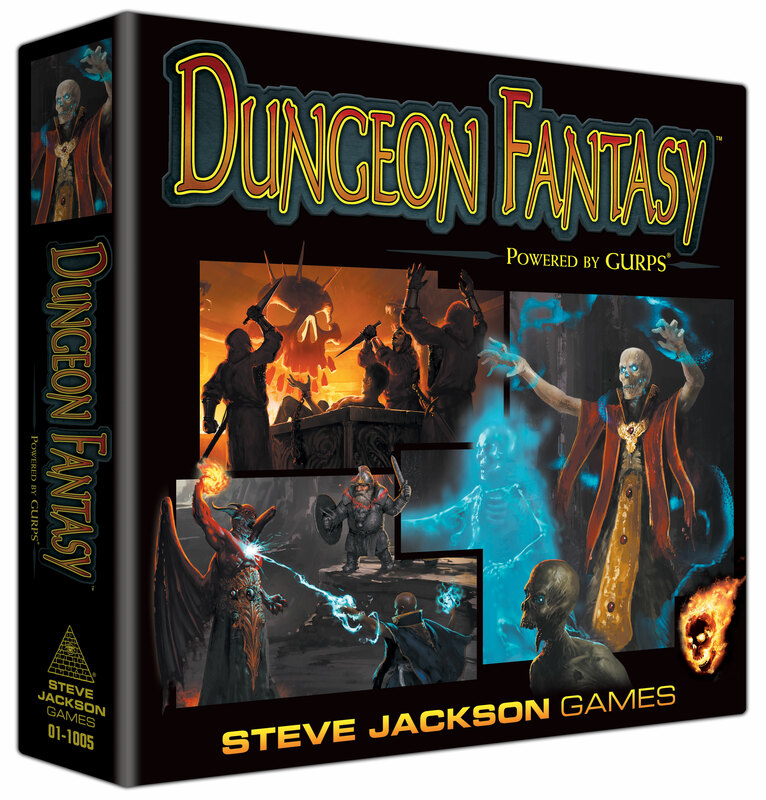 A suggestion for how to make the jump from the Dungeon Fantasy Roleplaying Game to GURPS, its parent game. 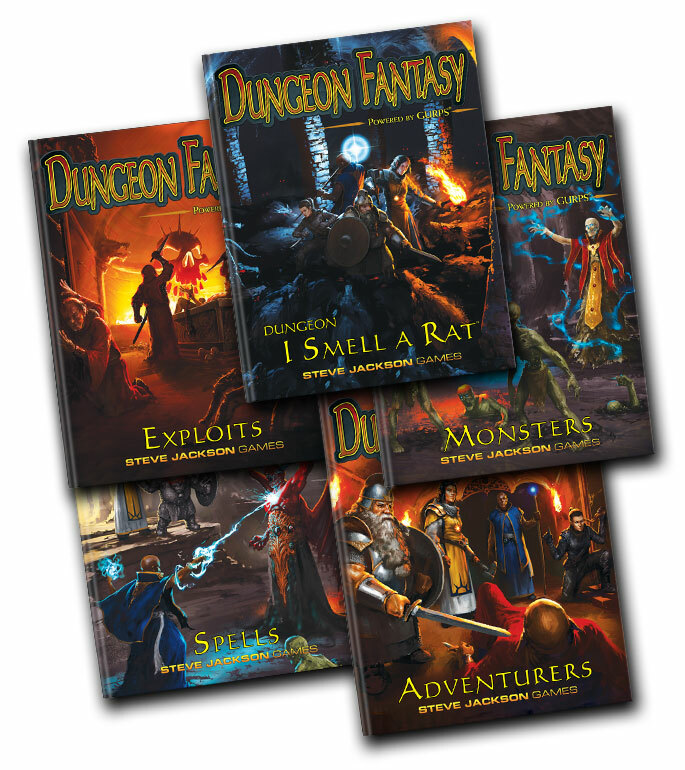 Dungeon Fantasy Designer's Notes 1: What, Who, When, Where, Why? Dungeon Fantasy Designer's Notes 4: "It's Magic!"